Looking for private in-home or in-studio Flute lessons? Our Anza teachers are ready to get you started. Find your teacher today! Check out some of our most popular teachers near Anza, CA including San Diego, Carlsbad, Oceanside, Riverside and Poway. 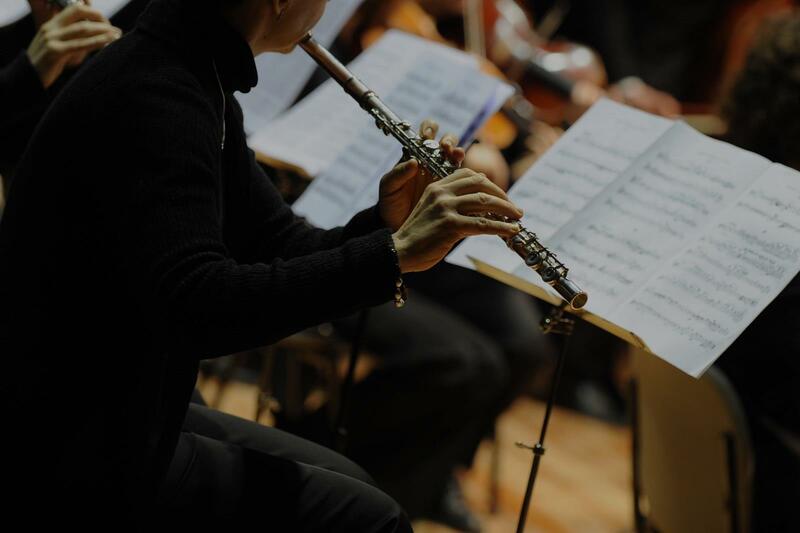 Classical approach to produce leaders in the orchestras and bands. I've been teaching flute for 20 years and my students have gone on to the State level Band Auditions and won multiple times. Within the first few lessons, you'll be able to make a decent sound, play scales, arpeggios and simple tunes, and as time goes on you'll be able to play popular tunes solo and with accompaniment of piano or band. I specialize in classical, jazz and klezmer style, typically use best published books, and have the renovated, quiet and spacious studio, music stands, audio equipment. I love working with students of all ages and experience levels and I can't wait to meet you! Students will be learning and working in 2 spheres - technique & musicianship. Within those areas fundamentals, tone development, music reading, music theory and history, performing, self critique, and much more will be explored and discussed. Each student will be graded against themselves - I expect that each student makes progress appropriate for them and their ability level. Students are expected and encouraged to be active participants in their music education, so communication is key! I am a passionate educator, no matter what subject I happen to find myself teaching. There is nothing quite so rewarding as the dawning comprehension of a new skill on a child's face, or their look of triumph after a great accomplishment. As a teacher, i prefer not to be overly demanding of my students, and instead seek to tailor lessons to their individual interests and tastes. If you enjoy the music, you will want to play, and thus practice more! I prefer to focus on teaching the underlying skills and techniques that will make students successful - practice strategies, sight-reading, and problem solving skills. I am a new student and she has given me all the right tools to have a great start. She doesn't waste even a minute of the class time. I have 20 years of playing experience and 10 years of professional playing and teaching. I participate in all forms of musicing that involve flute playing. I also have a strong background in Celtic music and simple system instruments like the recorder and baroque flute. I have participated in master classes for international artists, Tadeu Coelho, Eva Amsler, and Danilo Mezzadri. Can't find a teacher in Anza, CA?